People waited in massive lines for this mind-blowing dessert, and only the lucky ones got their hands on it. 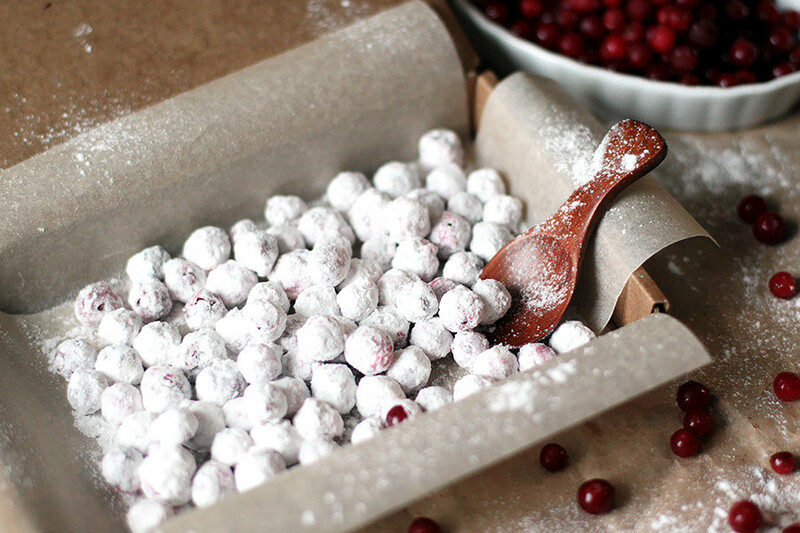 Today, you can easily make sugared cranberries at home and skip the lines. Cranberry is one of the most beloved berries in Russia. Since olden days people have prepared it in various ways. The most popular was mors – a sour drink with cranberry infusion; and also varenie, a type of cranberry jam. Of course, cranberry is extremely healthy, full of vitamins and minerals; therefore, the first thing that the majority of Russians do when they sense the first signs of a cold is to drink a big cup of cranberry tea. Now, if this berry is so healthy and beneficial then why not make sweets from it? Well, we do! While it’s not clear who first came up with the recipe for sugared cranberry, it seems to originate long before Soviet times. In fact, there is a popular belief that it was Alexander Pushkin’s favorite dessert. 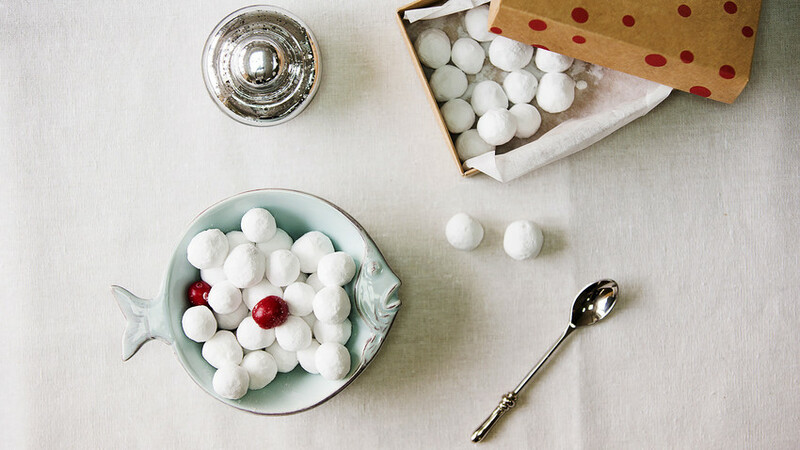 Sugared cranberry was one of the most popular and healthy sweets in my childhood, and it still is today. I remember going with my mom to a nearby grocery store, buying as many boxes with sugared cranberry as we could and enjoying the unique sweet sour taste with a cup of tea. It was impossible not to eat an entire box of berries at one go. The tandem between crunchy sugared surface and smooth sour cranberry inside leaves an insane taste. My granny said that sugared cranberry was in short supply in Soviet times, although there always has been tons of cranberry in Russia’s northern regions. She remembered that this delight became common not so long ago, only in the early 2000s. Aware of how simple the recipe of sugared cranberry is, I have no idea why people don’t make it themselves. 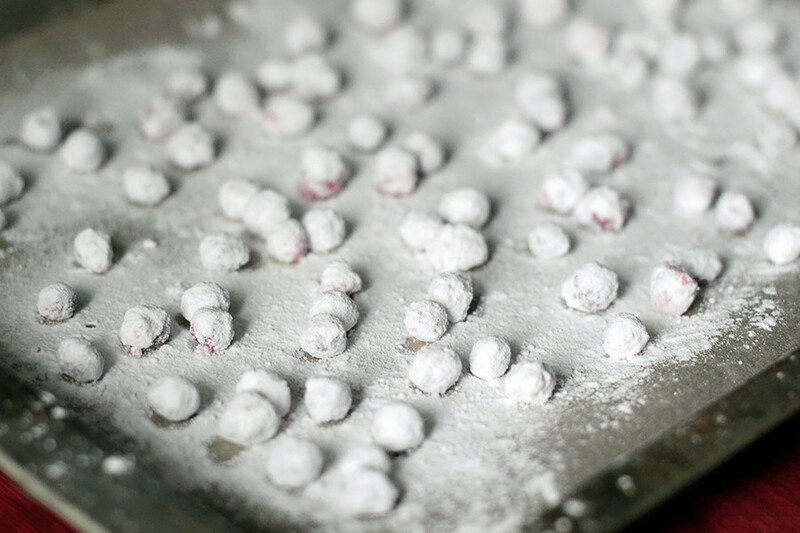 Try sugared cranberry once and you’ll fall in love forever. 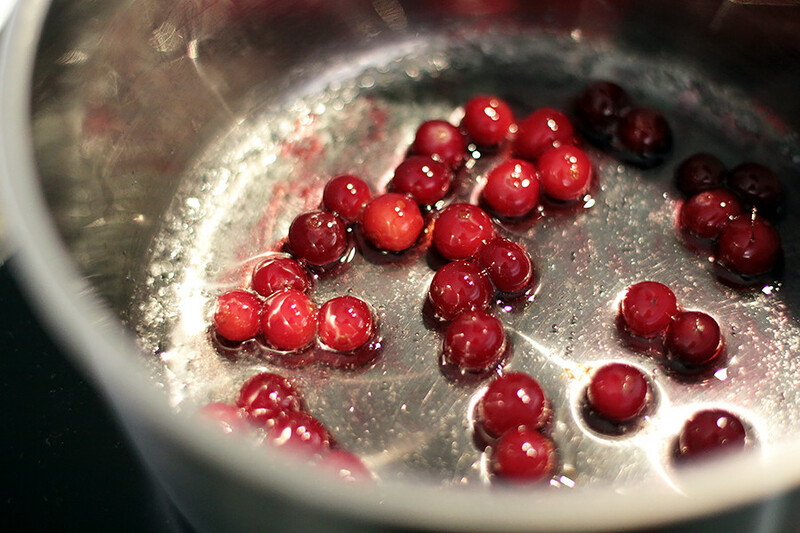 First, rinse your cranberries in water and let them dry. You can use both fresh or frozen berries, the key is that they must have quite solid skin so as not to become soggy while cooking. 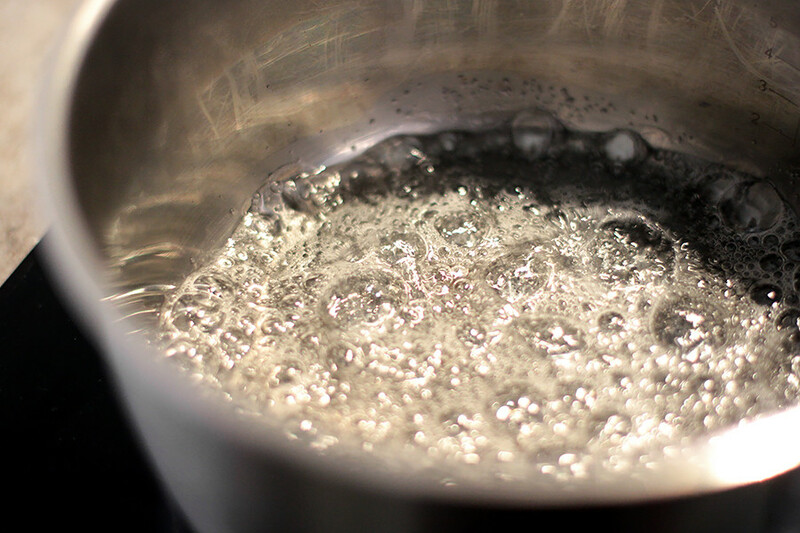 To prepare the sugar syrup mix, take granulated sugar and add water in a saucepan over medium heat. Don’t stir, but wait until the sugar completely dissolves and starts to simmer – your syrup is ready. Remove it from the heat and let cool for a minute or so. If the syrup is too hot, the berries might pop. By the way, in commercial production of sugared cranberry they use egg whites instead of sugar syrup, and you can try this option as well. So, put a handful of cranberries in syrup and coat them well. Now you have to do everything very quickly: transfer the glazed berries to a bowl with icing sugar using a slotted spoon. Spread on the icing sugar so that the berries don’t stick together. That is why it’s better to work with small portions of berries. 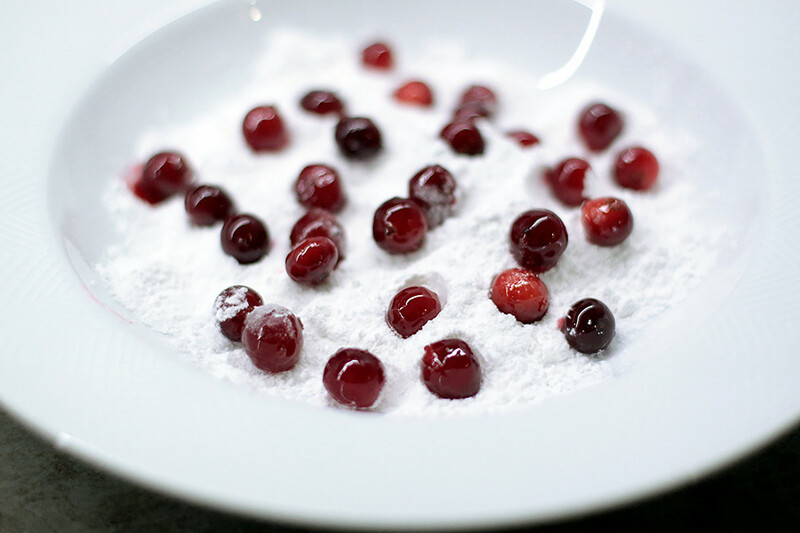 Then powder them with more icing sugar, leave for a couple of minutes and roll cranberries in the sugar until fully coated. Spread sugared berries on cooking paper and let dry for at least an hour. That’s basically it: now you can put your cranberries in an authentic carton box and cover with a piece of parchment. Sugared cranberries can remain fresh for about a month in the fridge, but you are likely to eat them all immediately. Still unsure what to serve at your tea party? Try these 5 jam recipes from famous Russian writers.